That might be a question some of you are asking that don’t see me on a regular basis. Suffice it to say, I’ve been busy, but not working on book three of the Silverwood Chronicles like I should. Instead, I went back to a project that I started almost two years ago. A friend of mine with Indie Ninja Design had told me of a game he was working on and wanted to know if I wanted to play test it. Being the game nut that I am I said sure , couldn’t wait. So it was that I was able to play test a very early variant of a game that he still has regrettably not released yet. It was intriguing and even fun. We talked through some suggested changes and that was pretty much that. I did ask him where he got the printed components – the cards – for the game. They looked amazing. He pointed me to an online source where he was able to put this prototype together and that got me thinking. I had previously put together some video game ideas back in my early early days of programming. 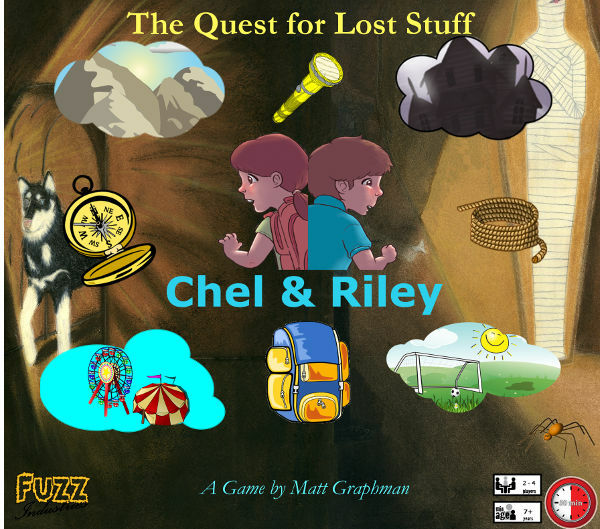 I checked out the website and my brain instantly started working on a project related to the Chel & Riley book series. At first, as it does with a lot of my projects, I just wanted to see what I could put together. But as I got into the design, I really felt like I had put something together that was fun and enjoyable. We pulled together some play testers and ran it through several iterations and we finally found a pretty good balance when I hit a roadblock. I can’t draw. Unlike my friend at Indie Ninja, who is a very skilled illustrator, I’m lucky to draw a straight line. If you want an ripples in the water, I’m your guy. The proof of concept game that I had put together I used clip art off of Google images. The big problem with that is most of those images are not public domain and therefore require some licensing. The realization that I would either have to source every one of the 100+ images I used in my product completely derailed my efforts. And so the game sat in a Ziplock baggy on my shelf 90% complete for more than a year. About six weeks ago, I hit a writer’s block on Chapter 6 and looked for other ways to be creative. Sometimes writers have to do this, I’m convinced. As it happened I pulled up the files for my game and started playing around with it. I decided that I would make an honest attempt to locate a image library on the internet where I could procure the licensing needed for the images or close facsimiles and release the game. This was a daunting task. If you’ve never checked out the myriad of image libraries on the internet, don’t, unless you want your mind thrown through a blender. The cost was staggering to license the desired images. I was ready to give up when I stumbled across another site that offered images under the Creative Commons licensing. I was amazed and inspired. I was able to drudge up most of the images I wanted and some that were better than my originals. So, I’ve been applying myself to re-skinning the game with all of these CC0 images for the last several weeks, and the game is complete. I will be requesting a beta copy from the printers soon and assuming the product quality is satisfactory, I will make a public announcement and release the information so that all two of you that read my stuff can go out and encourage me by buying a copy at a steep discount from me — meaning you’ll say you want a copy and can’t afford it so I’ll just give you one. Here is a peek at the box cover. The good news is, I’m done, mostly. The better news is, this means I can get back to writing book three. 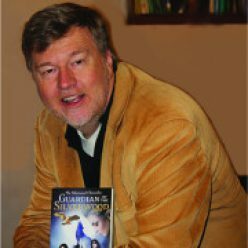 Posted on May 12, 2016 Categories Games, Silverwood Chronicles UpdateLeave a comment on Where has he been?